A 59-year-old white woman with previous history of arterial hypertension consulted because of palpitations. Atrial fibrillation of uncertain duration was diagnosed. She was not receiving anticoagulants. A trans-esophageal echocardiogram was performed, and a large left atrial appendage thrombus was detected. A strategy of rate control and anti-vitamin K treatment was started. On the subsequent days, we could not reach therapeutic INRs. Therefore, it was decided to stop warfarin and initiate dabigatran. 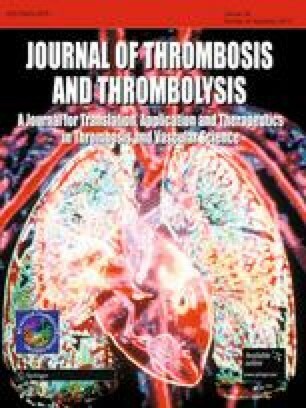 We describe the evolution of the patient, the thrombus resolution, and a successful electrical cardioversion. In our comments, we summarize the natural history of left atrial thrombus, both with and without anticoagulant therapy. We also discuss the differences between warfarin and dabigatran.